This hotel boasts a prime setting in Annapolis, lying close to the Sandy Point State Park. The hotel is located within easy access of the historical downtown area of Annapolis. Guests will find themselves in close proximity to a number of attractions in the area. The hotel is located in close proximity to the Naval Academy, St. Johns College, the Navy Marine Stadium, and a number of exciting cities and towns, including Baltimore, Washington D.C. and Fort Mead. This exemplary hotel is sure to impress business and leisure travellers. The guest rooms are tastefully designed, offering a peaceful setting in which to unwind. The hotel's many facilities and services ensure that the needs of business and leisure travellers are fully met. Make yourself at home in one of the 39 guestrooms. Complimentary wireless Internet access keeps you connected, and cable programming is available for your entertainment. Welcome to the Crowne Plaza Annapolis! We are located near the excitement of downtown and historic Annapolis, sailing capital of the world. We’re also conveniently located within walking distance to well-known chain restaurants and shopping at Westfield Annapolis Mall. In downtown Annapolis enjoy attractions like shopping, historic attractions and waterfront restaurants, United States Naval Academy, Maryland State House and more. The William Paca House, Rams Head Live, Sandy Point Park and Annapolis historic tours are also only minutes from the hotel. Guests can enjoy remarkable amenities including family friendly accommodations, room service, flexible meeting space, sundry shop, restaurant, bar, sun deck, Jacuzzi and indoor pool. 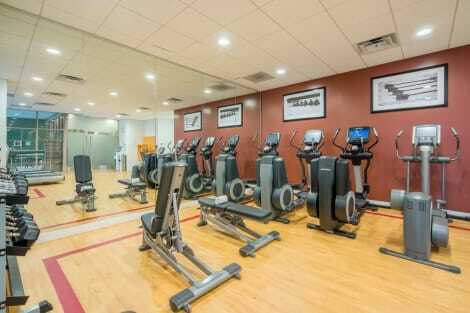 Guests can stay up to date on their fitness routines with our 24 hour Fitness Center and state-of-the-art equipment. We know how important it is to stay connected, that is why we offer complimentary high speed Internet access in all of our newly refreshed guest rooms. Begin your day with breakfast at our on-site restaurant, Annapolis Bar and Grill and relax in our indoor pool and Jacuzzi when you come home in the evening. Experience the beautiful Chesapeake Bay and many local historic attractions while traveling to Annapolis. Don't miss out on the many recreational opportunities, including an indoor pool, a spa tub, and a 24-hour fitness center. Additional amenities at this hotel include complimentary wireless Internet access, concierge services, and a television in a common area. When you stay at Residence Inn by Marriott Annapolis in Annapolis, you'll be in the business district, within a 15-minute drive of U.S. Naval Academy and Chesapeake Bay Bridge. 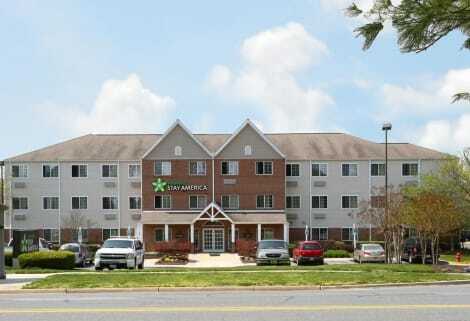 This hotel is 1.4 mi (2.3 km) from Westfield Annapolis Mall and 1.5 mi (2.5 km) from Broad Creek Marsh. Make yourself at home in one of the 219 air-conditioned rooms featuring refrigerators and LCD televisions. Your pillowtop bed comes with premium bedding. Complimentary wired and wireless Internet access keeps you connected, and satellite programming provides entertainment. Private bathrooms have complimentary toiletries and hair dryers. Take advantage of recreation opportunities such as a fitness center, or other amenities including complimentary wireless Internet access and concierge services. This hotel also features a picnic area and barbecue grills. Make yourself at home in one of the 60 air-conditioned guestrooms. Complimentary wireless Internet access keeps you connected, and satellite programming is available for your entertainment. Conveniences include coffee/tea makers, and both cribs/infant beds (complimentary) and rollaway/extra beds (surcharge) are available on request. Grab a bite to eat at Garden Grille and Bar, a restaurant which features a bar, or stay in and take advantage of the room service (during limited hours). Cooked-to-order breakfasts are served on weekdays from 6:00 AM to 10:00 AM and on weekends from 7:00 AM to 11:00 AM for a fee. When you stay at Hampton Inn & Suites Annapolis in Annapolis, you'll be in the business district, within a 15-minute drive of U.S. Naval Academy and Chesapeake Bay Bridge. 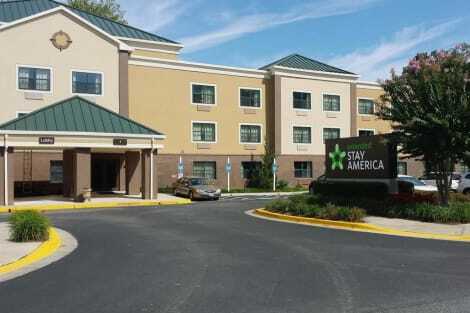 This hotel is 1.5 mi (2.4 km) from Westfield Annapolis Mall and 1.6 mi (2.6 km) from Broad Creek Marsh. Be sure to enjoy recreational amenities, including an indoor pool, a spa tub, and a fitness center. Additional features at this hotel include complimentary wireless Internet access and a fireplace in the lobby. lastminute.com has a fantastic range of hotels in Annapolis, with everything from cheap hotels to luxurious five star accommodation available. We like to live up to our last minute name so remember you can book any one of our excellent Annapolis hotels up until midnight and stay the same night.